Now all you have to do is keep the content flowing! I vote for moar youtube stuff next, before you get ready to do the new art style reveal. BROOOOOO!!! Watched the video! I got a hard on!! This is looking so professional and SUPER FUN! Voting up on Steam. Tuism : Thanks guy! I do love pixel art, the main reason why we went with this new style is because its better suited to the teams talents and has way more potential for awesome animation without breaking our backs in silly 1000000 frame long sprite sheets. Elyaradine: Thanks man! Yea I started last night doing some rediculous alien boss that takes up half the screen :)! I assume you are talking about the vents? Im not sure whether they will be interactable or not, there will be broken states I guess. Good point about the Rocky parts. Ingame there will never be grass on rocks, only on sand. There will be vines on the rocks which will make more sense (haven't done that yet! :D). And as far as the character goes they aren't final yet so we will be working on those a bit in the future. But you are right their values could be pushed a bit more to make them easier to read. Totally! Maybe do a series of 'meet the bros' videos? As the new art style reveal happens? That could give you some kind of sustained visibility without seeming contrived and adding little value? Either way, so awesome. Congratulations! PC Gamer 15 best Greenlight games collection! Amazing! Keep on keepin on guys! I don't mean to tout our own horn, but this does bode really well for the development of BROFORCE. Also: BROSTAR! Strength of the Bro, Eyes of the Bro, Ears of the Bro, Speed of the Bro! By the power of Broskull! Just wanted to chime in and say well done guys, this is looking great and word is spreading like mad! My gears were turning re: bro names, and someone already hinted at Brobi Wan Kenobi, but I'll throw (bro?) some around if I can think of anything. Also, yes, that new art style is looking phenomenal! I think it's definitely better in a higher res with that style, and the colour palette is so striking and vibront. 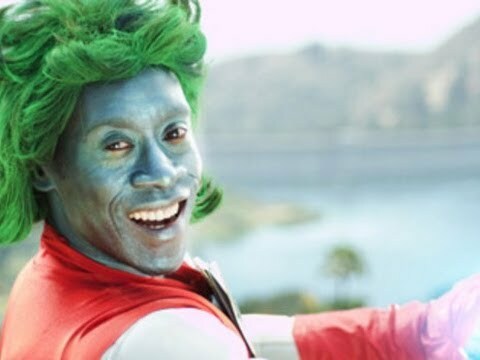 I will never be able to watch Don Cheadle again without thinking of this! And yes that would make an amazing Bro. I think the alt fire needs to be regrow ground! Have you considered adding "Snake" Plissken, from Escape from New York? Not sure if anyone seen this steam greenlight widget for websites? I saw it on [url=http://www.reddit.com/r/gamedev/comments/zv7b5/greenlink_a_steam_greenlight_widget_for_your/]reddit yesterday[url]. Hey guys, mind blown! I bro'upped it on Greenlight :) What tech you guys using, would love to hear more about what goes on under the hood? Thanks bro! It was awesome being on your team! Haha, that video is awesome. 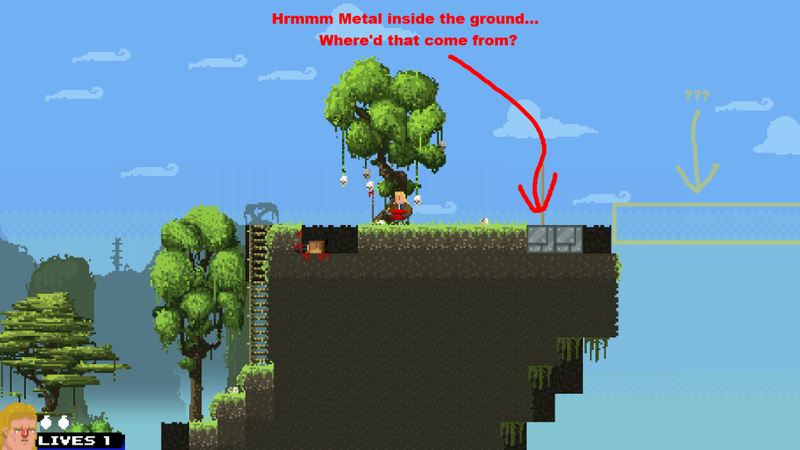 I loved watching the video reviews of Broforce by Diction, they are hilarious! Eat My Diction is amazing! Great brocasion last night broskis. Much love to the bros. The bros are growing exbronentially. Here's an awesome bro:broney stinson. Hey- broney the bronosaur. Don Broleone(the brofather), brohammed ali, mike broson, david brokham, broface(broni montana). Brorro(hint: he could slice opponent with a sword in b shape). Broverine. Brofessor bros and his x bros. Lol I tend to get carried away. You guys have managed to create an amazingly fun game. My brother and I played it co-op for at least an hour yesterday after I heard about it at the meetup. This will be the last pixelart version of the game that is available before the new art style version is publicly playable (which is what we're all excited about right now). The first issue, which you can see outlined in yellow in the images, is that (what I imagine is) the centre of the background plane has a funky bit of texturing, it isn't plain blue but instead has a checkered pattern on it. Third is something new to this release, which is that the indestructable adamantium metal blocks (which are awesome) only get revealed when the blocks they cover are destroyed, which to me seems kinda weird because why would there be rock/natural ground covering metal/man-made ground? @D3zmodos Thanks for the feedback! I'm going to try fix up some of those things. 2) On level... Dunno which, right at the start, I jumped up and there was a bro in a cage, I rescued him, turned into Bro Dredd, jumped off the platform and the game froze, music still went on. Had to task manager close it. OK just had another one of those crashes, dunno why. It was pretty random. 3) I would like to know when my bro is invincible - when you first rescue them they are for a little bit, but they don't flash or anything. There should be some kinda indication? 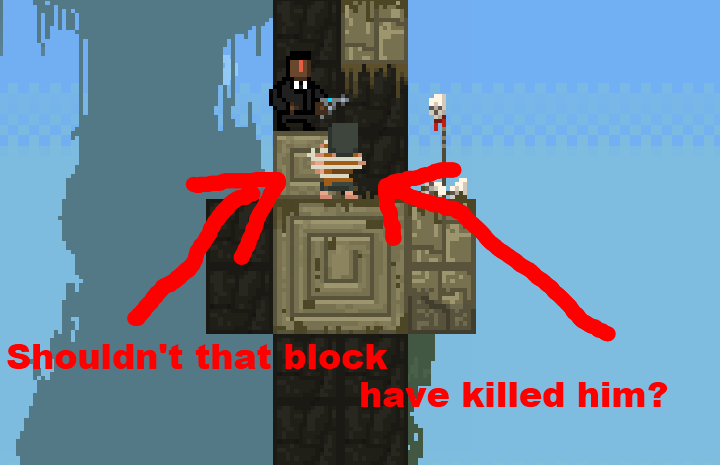 As for the too tall part, I noticed that Brambo does crouch to 1x block height when the hole is too tall. Those crashes worry me. It shouldn't be crashing at any point (it was running for whole days at AMAZE). So if it's just a some-computers-crash thing it's going to be really hard for us to fix that. Speaking of being invincible, enemies are also sometimes invulnerable it seems. Sometimes right at the beginning of a level, I shoot them and they don't die...I think it only happens (dont know but I seem to only remember it happening) with the sniper bro. 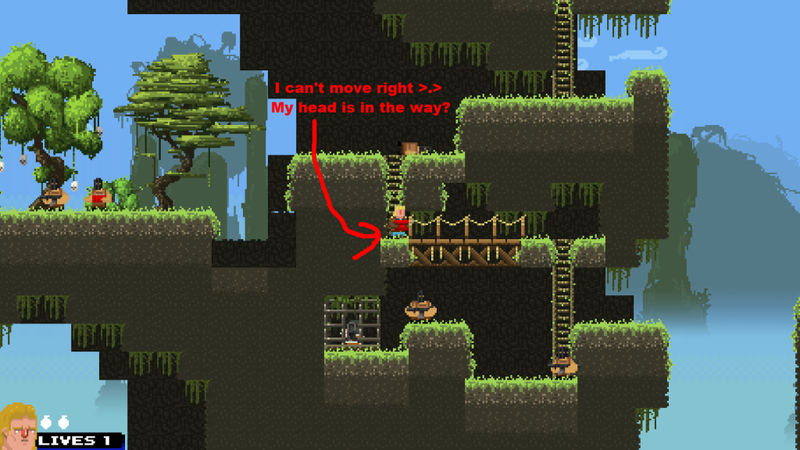 Sometimes when tunnelling, when my character crouches to be smaller, if I stop and theres no block above me it doesn't seem to stand up again by itself, I have to move back first, or not move and destroy the block in front of me (so that I am not standing against a wall). 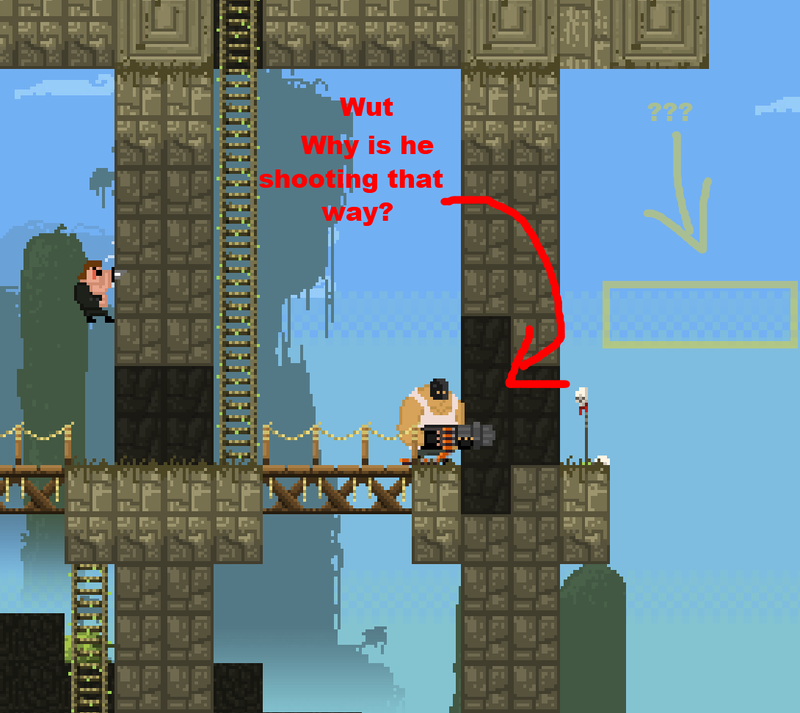 Also on the first of the new levels, the first flag seems to "acquire" itself without me running over it. I just run over the bridge above it and the flag is raised by itself. If you play the game, finish a few levels, and then quit to the menu/re-enter the game (without exiting the application) it doesn't start from the first level, it starts from the level you left off at. 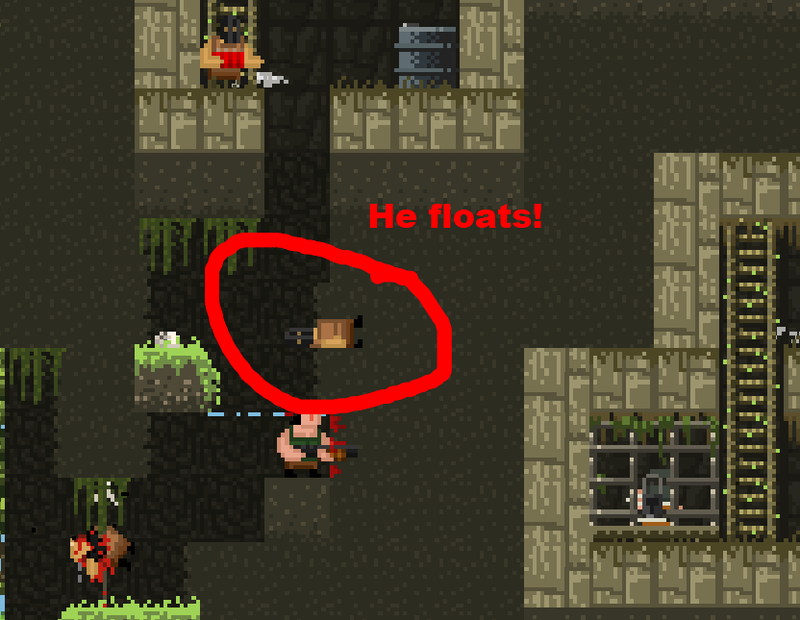 1) Would it be possible to make jumping take precedence over climbing a ladder (when you're standing on the ground at the base of the ladder) because a number of times I have tried to jump to dodge bullets, only to die because people climb ladders slower than they jump...which I found somewhat frustrating. 2) If you climb a ladder and keep holding the the up key down (that makes sense right? :o) then the character kinda bobs up and down at the top of the ladder (instead of just stopping) and as a result (seemingly if you let go of up and a certain point on the up-and-down cycle) your character will sometimes fall down the ladder again. Here's a current state of the game clip of us testing explosions. It's very messy, it's very much work in progress. Oh lawdy what did I just watch?